We should be the ones making the news not just watching the news! As our local projects contribute to a UK year on year reduction in alcohol related violence and A&E admissions we aim to share our part in that story and be influential to the influential! A testimony to the way we have gained national recognition is through the founder of Street Angels and CNI Network, Paul Blakey, receiving a MBE in the New Years Honours 2010 and in 2012 receiving the Prime Minister's Big Society Award. Several of our local projects have also received local awards - these are listed here and as a network we have received words of support from church leaders, Prime Ministers, MP's and celebrities. We also aim to speak as one voice for the 130 local projects around issues within the night-time economy. We also aim to be the one place others can go to for information on what is happening within the voluntary and faith sector in relation to work in the night-time economy. CNI Network has added its voice to issues such as minimum pricing on alcohol; the role of Police and Crime Commissioners and the need for links to the Third Sector; and volunteering within the wider Police family. CNI Network is regularly featured in local, regional and national media and we generally use this opportunity to tell some stories of the amazing difference that is made through local projects and volunteers. 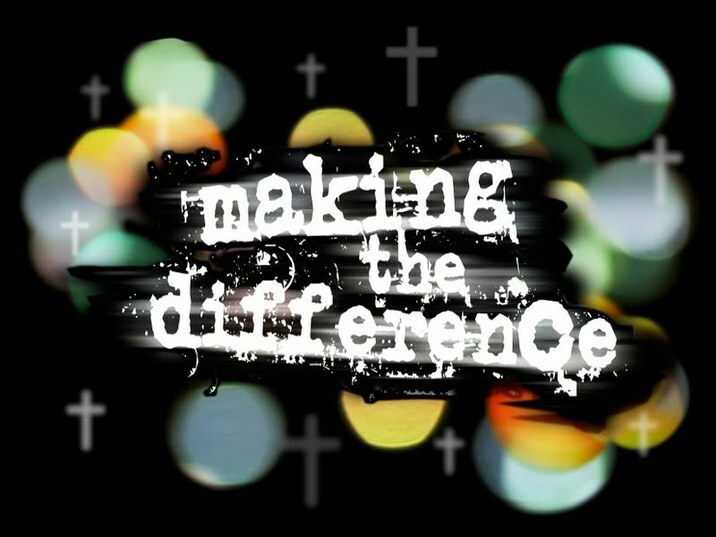 We are available for comments on stories around alcohol, night-time economy and anti-social behaviour and have featured on BBC (including Songs of Praise, Street Patrol and NewsNight), ITV and Sky News as well as local BBC, UCB and Premier Radio and local, regional and national newspapers including The Times, Financial Times Weekend magazine and Christianity. Our Love Your Streets ~ #Do1NiceThing campaign was also featured in several publications including The Sun and New Start magazine (see below for examples of major publicity for our work). 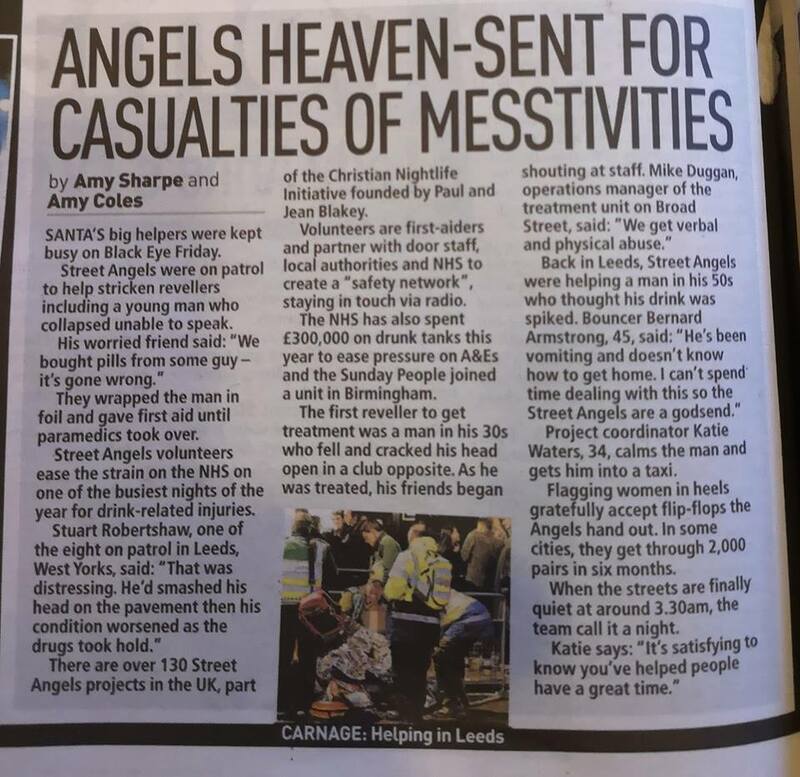 28th June 2011: Adam Pope from BBC Radio Leeds catches up with the Halifax Street Angels and even comes out as an Angel himself. 2nd January 2011: BBC Radio York with Julia Booth:Doug and Julia interviewed Jennifer Locke, Project Coordinator of Street Angels York and Rob Ainsworth, one of the volunteers. 31st December 2010: It's New Years Eve and many will be celebrating tonight - looking back on the past year and welcoming in 2011. Adam May - former National Development Officer for Christian Nightlife Initiatives - tells Premier's Lisa Mainwaring how Street Angels will be helping. 19th November 2010: 6:00pm Paul Blakey and Adam May interviewed by Steve Chalke on Calayst - a Premier Radio show giving examples of how the UK Church living out the Big Society.